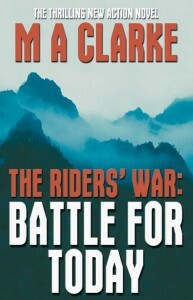 Battle for Today is a fast paced adventure story of danger, love and friendship. Twins Joshua and Joey Williams are gifted both mentally and physically way beyond their years. Once close, a family tragedy tears them apart to lead very different lives on opposite sides of the world. But when the fate of the world is at stake they must band together, and place past rifts behind them, with people as gifted as themselves, to form the Riders, a vigilante group, who are the Earth’s only chance of salvation from evil.